Rank the Importance your items and check for logical consistency. 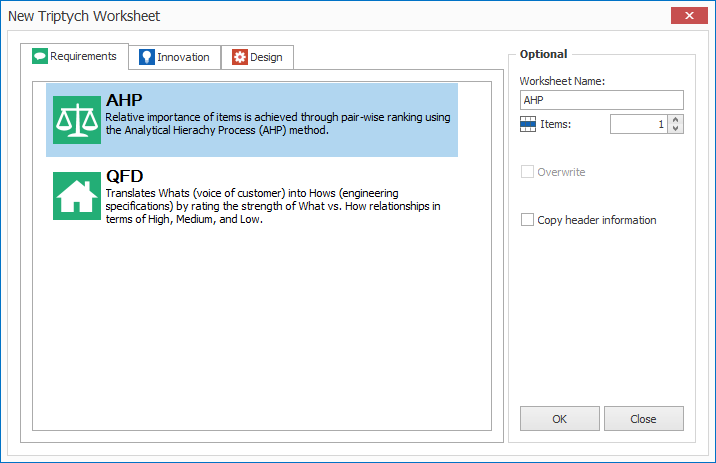 The Triptych AHP Worksheet can be used to prioritize (or rank) Items by performing pair-wise comparisons of Items against each other in terms of relative importance. 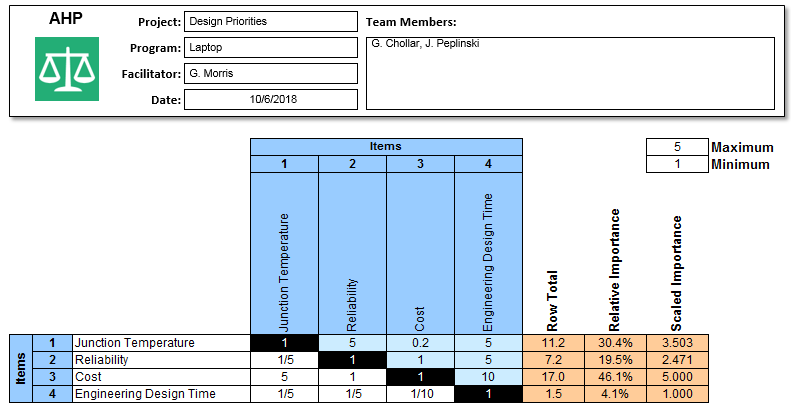 The theory behind this approach comes from the Analytical Hierarchy Process developed by Thomas Saaty in 1980.
generate Importance values for Criteria in the Pugh, TOPSIS and SDI Design Selection worksheets. 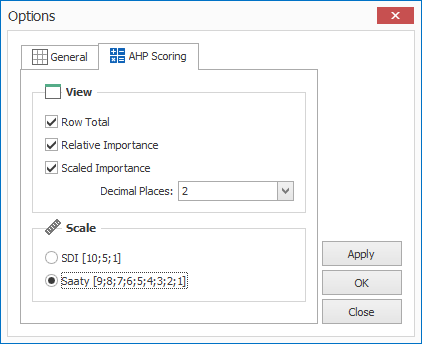 Two comparison scales are available in the AHP (Importance) worksheet: SDI and Saaty. Click on the boxes below to see the scales. 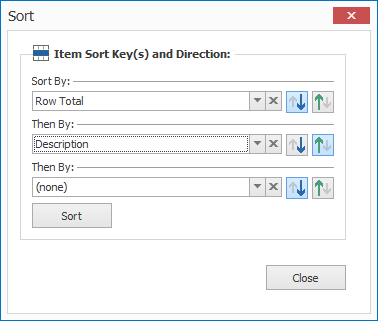 Check inputs for logical consistency by automatically calculating the Consistency Ratio. 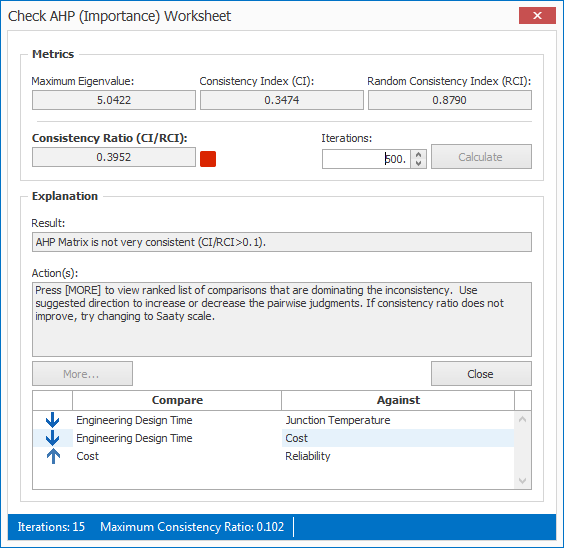 Identify changes that can improve logical consistency. 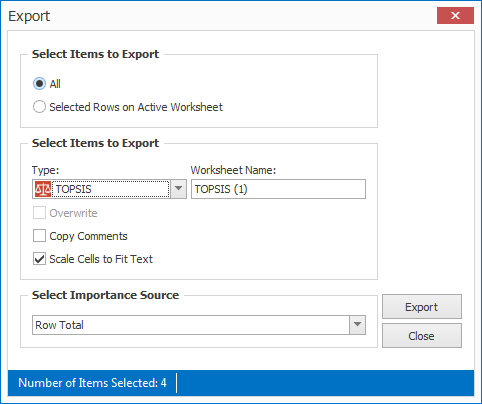 Export results to QFD, Pugh, TOPSIS, and SDI worksheets. 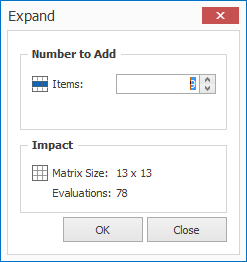 Add rows when creating the AHP worksheet. 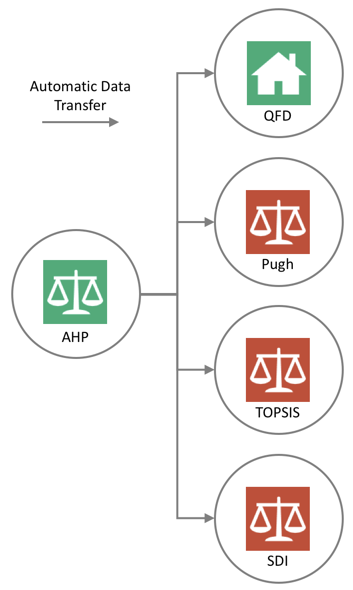 This video shows AHP (Importance) using SDI Tools v3 in action. We will be updating this video to reflect changes to SDI Tools v4 soon.